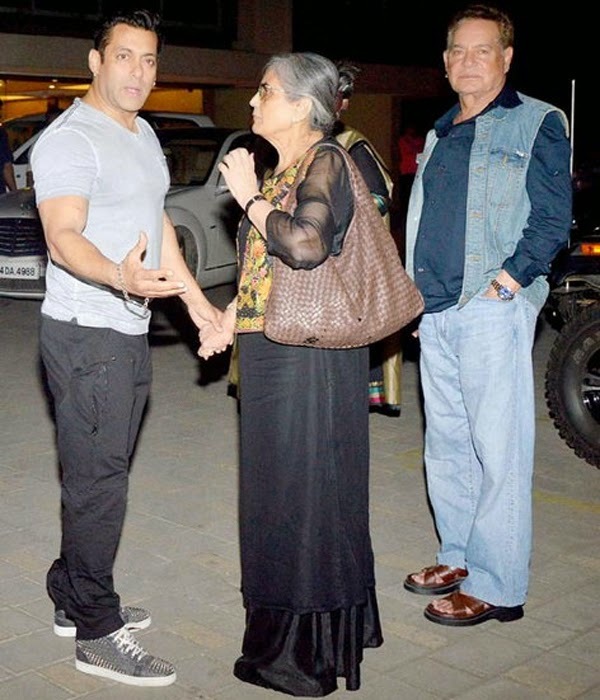 Salman Khan's mom Salma is very close to Arpita Khan. 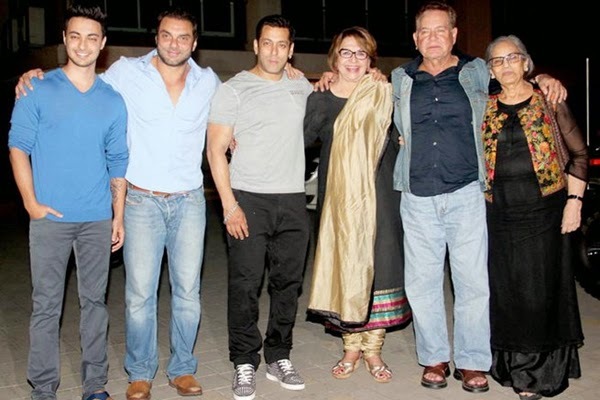 The whole family celebrated Salma's Birthday at Arpita's place. All the sons in the family gathered there. 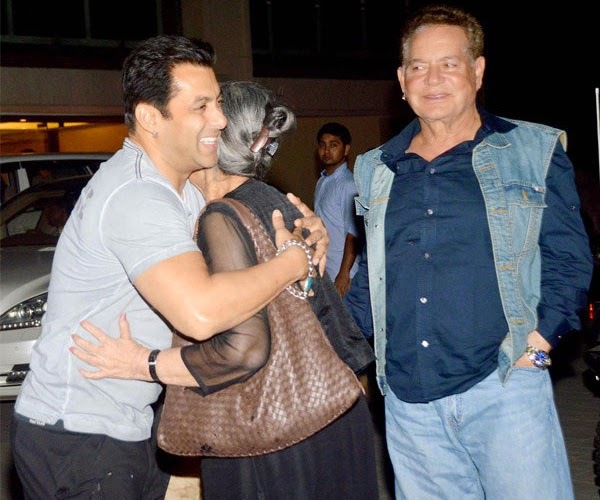 It was a great family reunion where they hugged each other and many pictures were clicked. 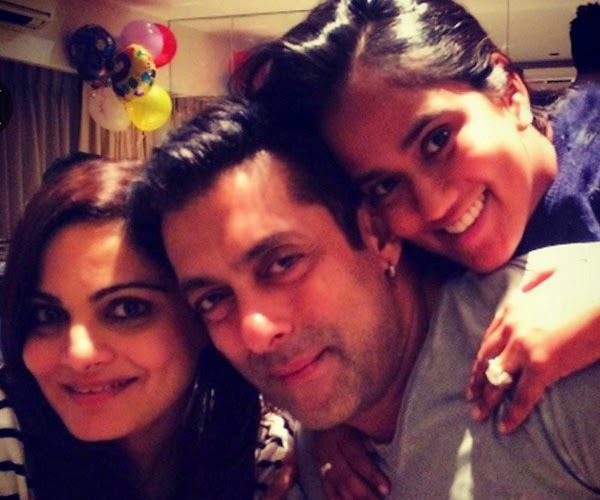 Salman with his two sisters. 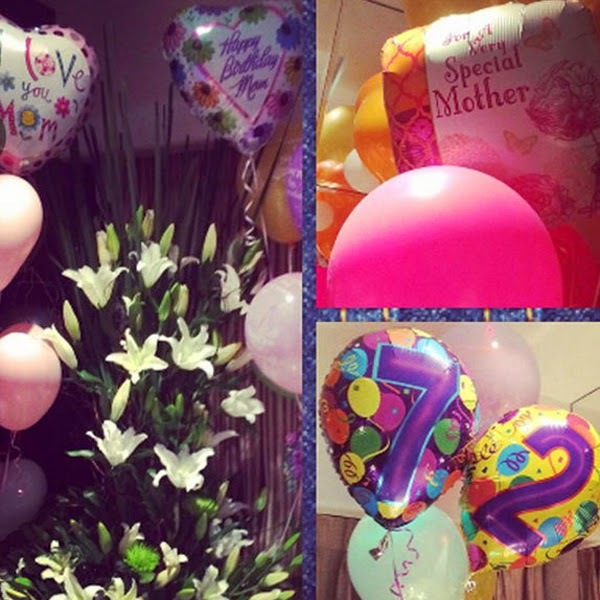 The way Arpita decorated the house for her mom. 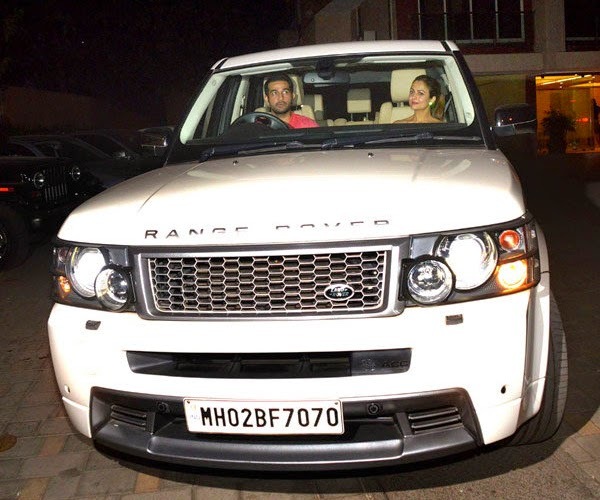 Amrita Arora came with her husband Shakeel Ladak. Amrita is wearing a dress by Amit Aggarwal with navy shimmery clutch and snakeskin pumps. She had worn the same to Vikram Phadnis's store launch. She tied her hair when coming to Arpita's home. She had left them open and straight at the store launch. 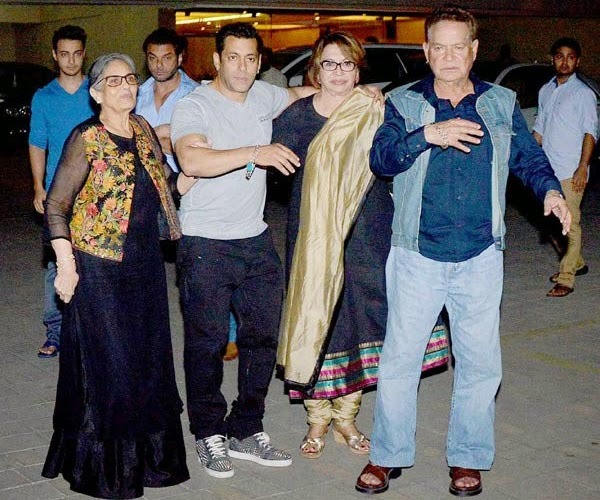 She looked better and fresh at the store launch and tired by the time she reached Salman's sister's home.